On arriving at Jammu railway station / airport, meet our representative who will help you take a transfer to Katra. Katra, 50 kms from Jammu, is a temple town which where the holy shrine of Vaishno Devi is located. After you reach Katra, check-in to the hotel and have a comfortable stay at night. 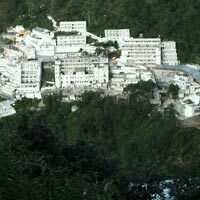 This morning, you begin with your trek to the holy shrine, Vaishno Devi. 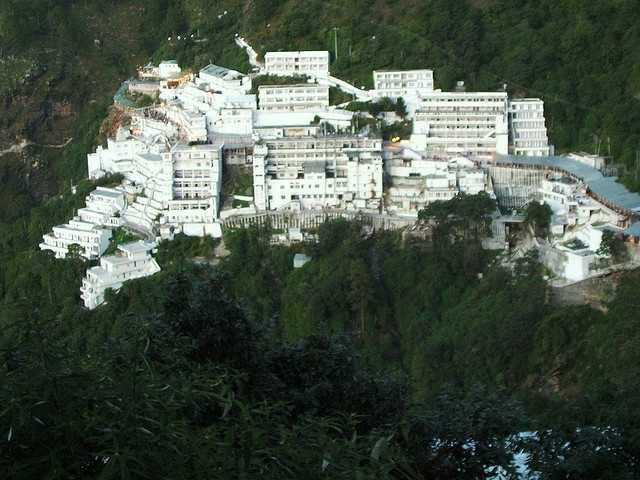 Vaishno Devi is considered the Mother Goddess or Maa Durga. A number of devotees visit this holy shrine from all across the world. The distance from Katra to Bhawan is 13 km and the way to reach there is steep. To reach the Bhawan, options like helicopter, ponies and palanquins are available. On reaching the Vaishno Devi Bhawan, seek the blessings of Maa Vaishno who is present there in the form of pindis inside the holy cave. After that, head back to Katra and start trekking. When you reach Katra, late in the night, get back to the hotel and have a comfortable stay at night. Today, you leave for your next destination, Patnitop from Katra. It will take a three -hour drive to reach Patnitop. Patnitop is a beautiful land of mountains, rivers and greenery. Spend a memorable holiday amid natural beauty and tranquility. On reaching Patnitop, check-in to the hotel and experience the enthralling beauty of the place for the rest of the day. Enjoy some time close to nature in this alluring destination. Later, have your dinner and enjoy a comfortable stay at night in the hotel. After you have your yummy breakfast in the morning, take a transfer to the railway station/ airport and then continue with your onward journey.